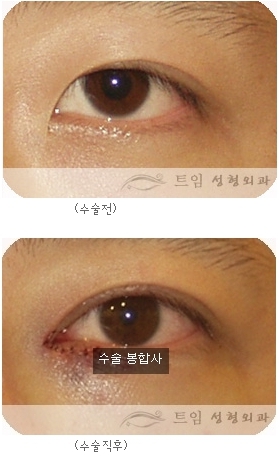 Unlike double eyelid surgery, Magic epicanthoplasty does not cause much swell after sugery. Only light swelling and bruising may occur. 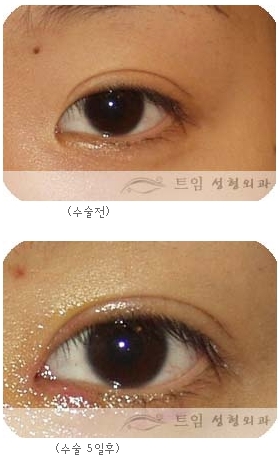 For ays until the stitch removal, stitches of the thickness of hair are remained on the lower eyelid line. Until after to remove the stitches a little bit of swelling, light bruises and surgical sutures can be noticable. As you can see from the photos, they are nor so obvious and can be covered by glasses. However, if you have a job which deals with clients it can be a problem so we recommend you schedule the surgery after proper consideration. It is best to judge when to get the surgery after seeing diverse pictures and accurate consultation.